Item number H2.9 from the MOA: University of British Columbia. 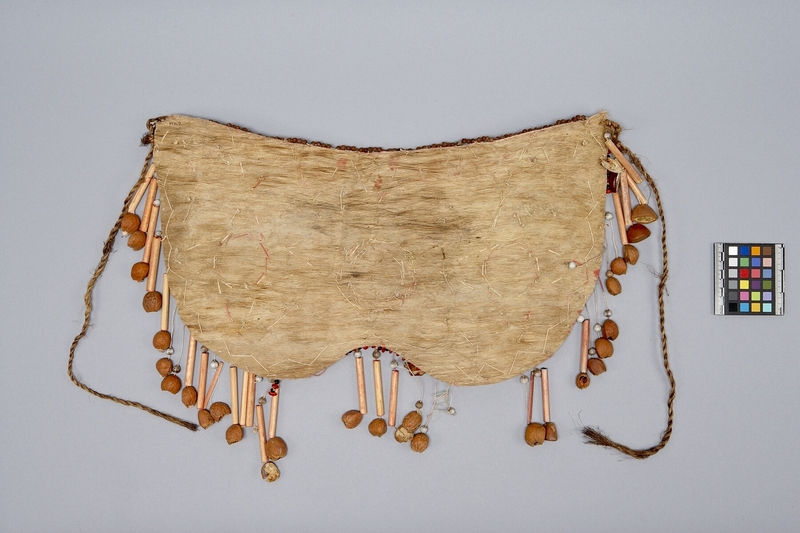 Bark garment, semi-circular in shape with a rounded indent along the bottom centre; bordered with a row of red alternating and black seeds along with a row of brown seeds. 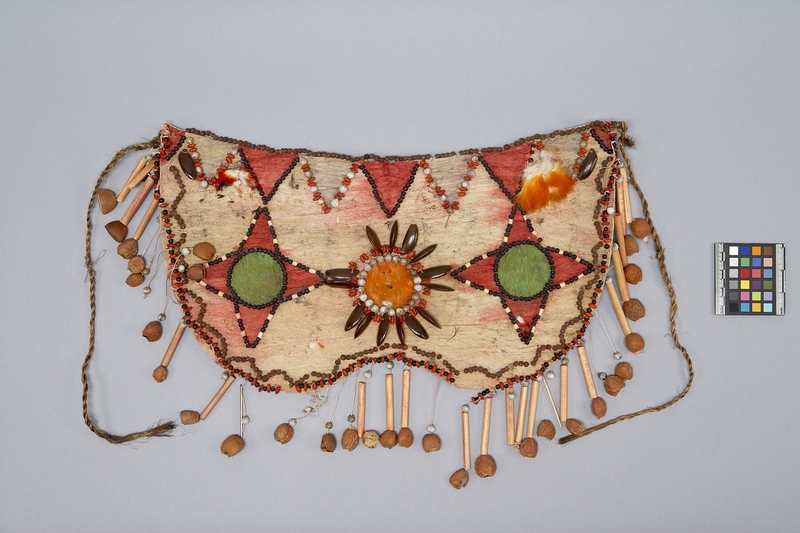 The central motif consists of two red star shapes outlined in black and cream seeds with a central green circle. In the middle of the garment is an orange circle outlined with rows of grey, red and brown seeds creating a sunburst design. In each upper corner is a collection of red and white and orange and white feathers. Along the outer edge is a fringe of grey and brown seeds with lengths of cane. The upper left edge has a top half of a bird beak hanging on a piece of the fringe. There is twisted fibre twine attached to either side.